How much do Rockets suites cost? 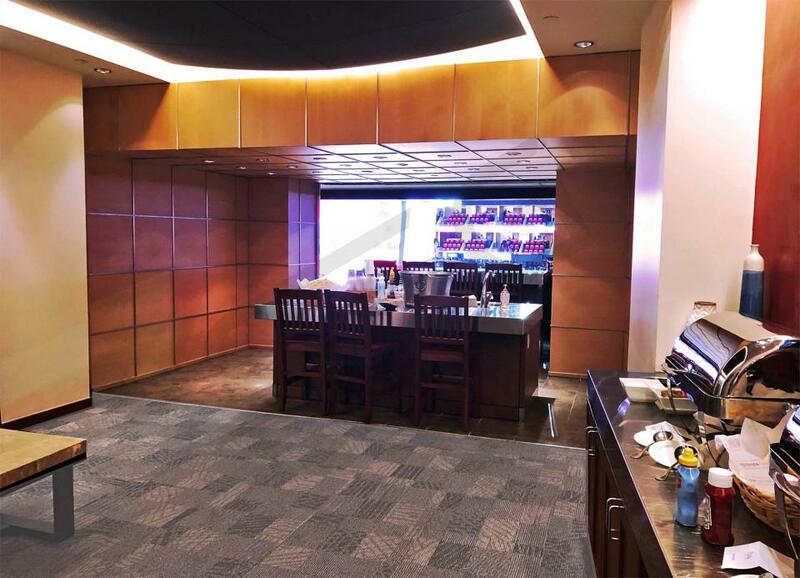 Prices typically range from $6,000 - $14,000 for Houston Rockets suites. Suite prices will vary based on day of game, opponent, and the location of the suite. In-state rivalry games against teams like the Mavericks and Spurs will be on the higher-end in a Rockets suite. Prices for concerts and other events at the Toyota Center can vary widely based on the type of event. Toyota Center Suites on the lower level will include 15 tickets and 5 VIP parking passes. Guests will get to choose from many in-suite catering options. Rockets suites will give guests access to VIP entry into the Toyota Center through the Toyota Tundra Parking Garage. Rockets suites on the lower level will be the closest to the court or stage. Upper Level suites at the Toyota Center are stacked right above the lower level suites. Rockets fans can choose from a wide-spread of in-suite catering options. 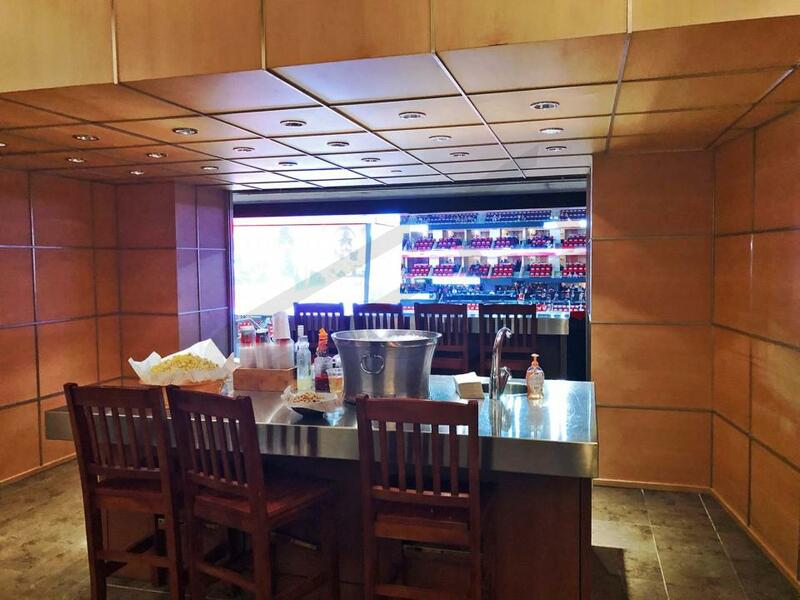 From HDTVs to premium seating, Rockets suites offer a full VIP experience. Rockets suites will give guests access to VIP entry into the Toyota Center through the Toyota Tundra Parking Garage. The Toyota Center has two different suite levels. Both the lower and upper level suites can accommodate 15 guests in each suite. Additionally, both levels will come with the option to purchase 6 additional “standing room” tickets for a maximum suite capacity of 21 attendees. The price of private luxury suites at the Toyota Center for Houston Rockets games will range between $6,000 - $14,000. Location matters: lower level suites closer to mid-court will generally cost more than upper level suites behind the basket. 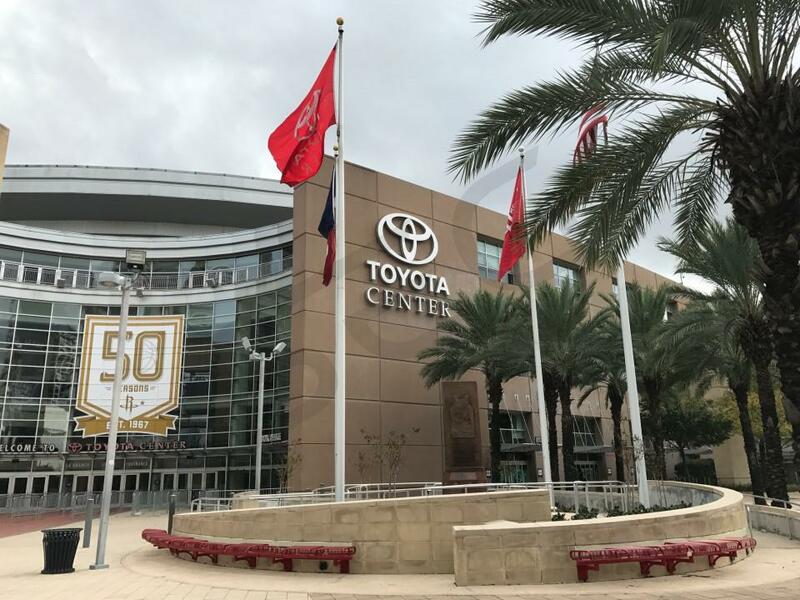 Toyota Center hosts more than just Rockets games every year. Prices for other events (concerts, WWE, etc.) will vary widely depending on the event, with top-tier concert suite prices topping-out above $10,000. 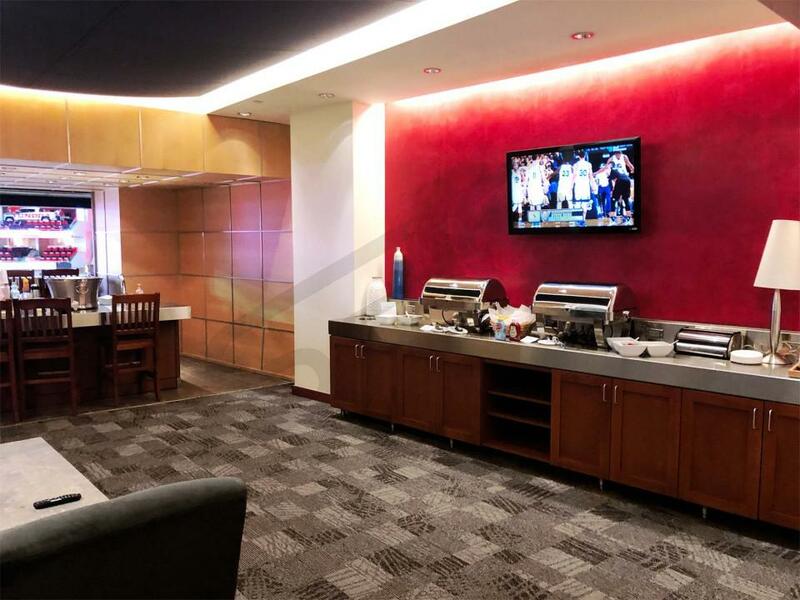 All private luxury suites at the Toyota Center offer professional suite catering by Levy Restaurants. Catering orders for your suite must be placed at least 3 business days before the event. You can also place food and drink orders on the day of the game through the attendant in your suite. Your Suite Experience Group representative will work directly with you to create your ideal suite catering spread based on the available options. All luxury box tickets will grant you access to the exclusive East and West Club lounges. Both the Rockets Club East and Rockets Club West have a center bar and a great view of the action. These lounges also have many plasma televisions for your convenience. Additionally, suite ticket holders will have access to the Red & White restaurant where advance reservations are recommended. How you dress in a suite should depend on the nature of the event and the wishes of your host. If it’s a corporate event, many guests in the luxury box will likely be dressed in business casual attire. However, it’s not uncommon for guests to wear their favorite team gear with jeans and sneakers. If in doubt, ask the host of your event what they recommend. If you are the host, then you get to choose the dress code. 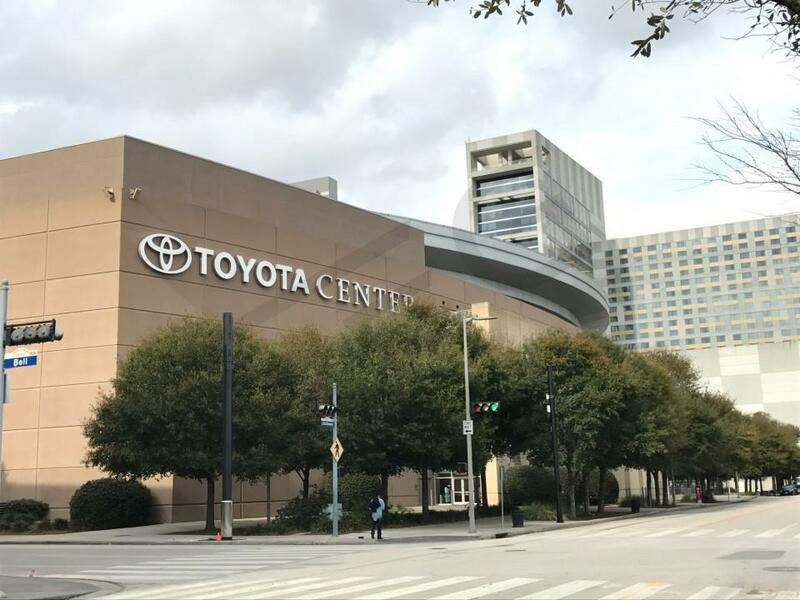 Toyota Center is located at 1510 Polk Street in Houston. The best method of public transportation for Rockets games would be the Houston Metro. The Metro operates various routes near and around the Toyota Center. If you plan to use a ride sharing service, we recommend Uber as they are the exclusive ride of Toyota Center. After the game is over you can head towards Bell St between Jackson St and La Branch St to meet your driver. Each luxury suite will come with 5 VIP parking passes to The Toyota Tundra Garage which is located at 1515 Jackson Street, just next to the arena. The Garage opens for event parking 1.5 hours before the events scheduled door time. If you do not have a VIP parking pass there are approximately 10,000 parking spaces within a few blocks. VIP entrances for suite ticket holders will generally open 60 minutes prior to Rockets games during the week and 90 minutes before tip-off on weekends (Friday-Sunday). 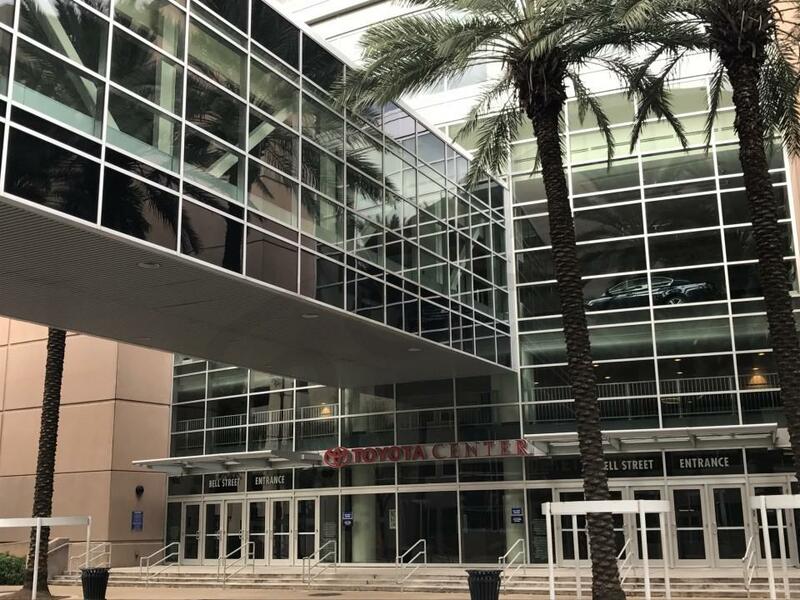 All fans entering Toyota Center will go through a metal detector screening. Any bags larger then 14” x 14” x 6” will not be allowed into the stadium. The Houston Rockets enter 2019 with lofty expectations after falling just short of defeating the Golden State Warriors last season. 2018 was a year of many accomplishments for the Houston Rockets, including the league’s best regular season record and James Harden winning the NBA MVP award. However, the season came up short of the Rockets ultimate goal - beating the Warriors and winning an NBA championship. The Rockets will face even more competition than they did last season after an off-season that saw the Western Conference get even stronger. Houston remains unphased by other team’s splashy moves, instead focused on building off the remarkable progress of last season. The Rockets were one Chris Paul hamstring injury away from finally dethroning the Warriors and advancing to the NBA Finals, where they would have been heavy favorites. If last year proved anything, it’s that the Rockets are legitimate championship contenders and the Warriors are totally beatable. James Harden and Chris Paul are the engines that keep the Rockets in orbit. James Harden is coming off his well deserved MVP winning season, while Chris Paul is fresh off an impressive year himself and a brand new four-year contract. The two superstars form a dynamic backcourt duo of elite shooting and playmaking, which is complemented perfectly by the rest of the carefully constructed roster. Eric Gordon is one of the game’s best sixth men, P.J. Tucker, is the ideal “3 & D” player, and Clint Capela has emerged as a top center in the NBA. General manager Daryl Morey and head coach Mike D’Antoni don’t shy away from the Rockets strategy, which is to shoot a lot of threes - a lot of threes. The Rockets play a fast-paced and entertaining brand of basketball that seems to set three point records as each game on the schedule goes by. A franchise built around analytics, modern trends, and superstars, the Houston Rockets expect to compete for a championship once again this season. Experience Houston Rockets basketball from a private luxury suite at Toyota Center. 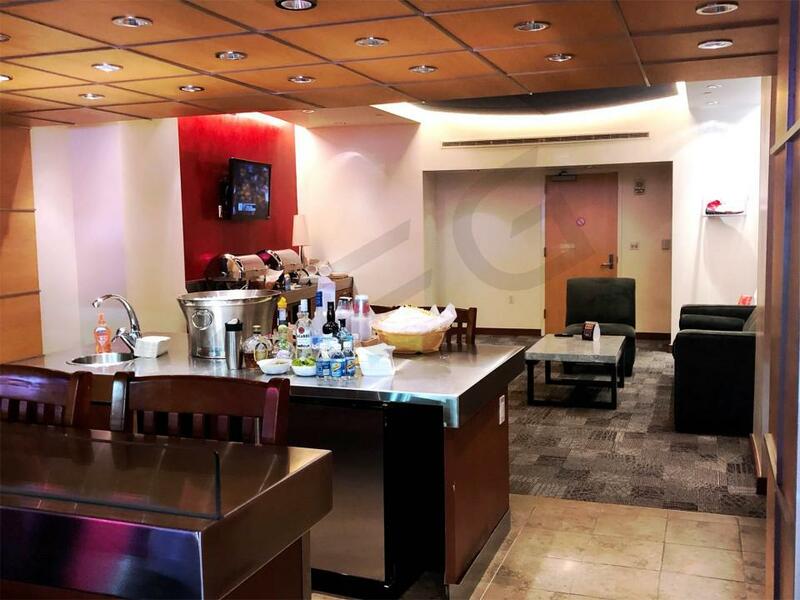 A Toyota Center luxury suite will grant your group private entry into the arena and exclusive access to the Rockets Silestone Clubs located on the suite level. A Houston Rockets suite will come fully furnished and include first-class amenities such as HDTVs, comfortable seating, premium in-suite catering options, and a dedicated suite attendant. Toyota Center suites will accommodate small or large groups and provide a perfect setting for business or for pleasure. The Houston Rockets already had one of the most electrifying stars in the league in James Harden. Daryl Morey decided to provide Harden a running mate by trading for Chris Paul. Paul is a hall-of-fame caliber point guard and one of the most consistent stars of this era. Paul and Harden together should absolutely terrorize opposing defenses. Their high-scoring style makes them the perfect team to entertain clients or family and friends because Rockets games are always exciting. Harden is an absolute stud and an extremely fun to watch. His unique skill set make him one of the most unstoppable players in the NBA. Clint Capela, Houston’s starting center, is a perfect pick and roll partner to Harden because of his electric athletic ability. Capela scores most his baskets via the most exciting plays in basketball, dunks and alley-oops. The Rocket’s forwards, Trevor Ariza and Ryan Anderson, are dead-eye shooters whose three point prowess can turn a game around in a matter of minutes. Eric Gordon, reigning sixth man of the year, will come to rain threes from off the bench. This Rockets team is an absolute offensive powerhouse that on any given night has the potential to put up video game numbers. Mike D'Antoni, the 2017 NBA coach of the year, is the conductor for this show. How D'Antoni chooses to work with Harden and Paul will be the biggest story line for the team this year. The Houston Rockets are legitimate title contenders. Experience Rockets basketball from a private luxury suite. 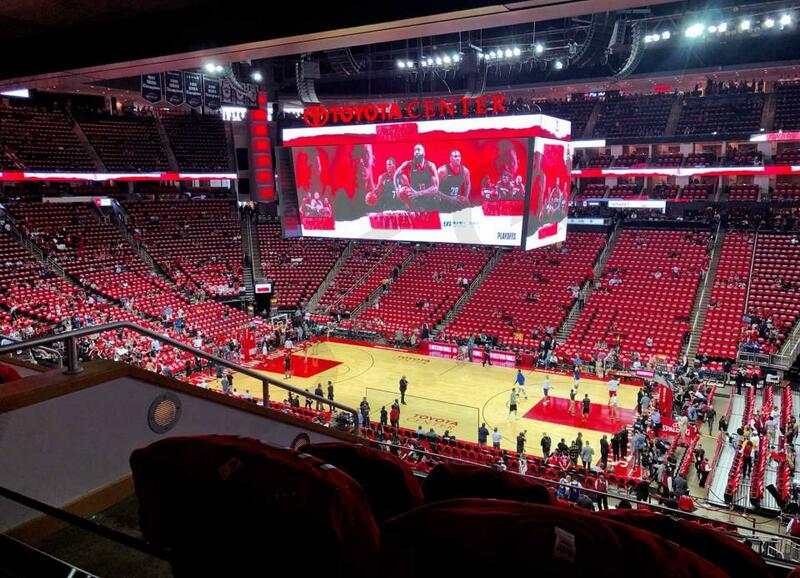 A suite at the Toyota Center will grant your group private entry into the arena and exclusive access to the Rockets Silestone Clubs located on the suite level. A Houston Rockets suite will come fully furnished and include first-class amenities such as HDTVs, comfortable seating, premium in-suite catering options, and a dedicated suite attendant. Rockets’ suites will accommodate small or large groups and provide a perfect setting for business or for pleasure. The Toyota Center will be hosting a variety of special events this season including Drake & Future, WWE: Raw and Demi Lovato & Nick Jonas. The Houston Rockets enter the 2014-15 season as a top team to contend in the Western Conference. The Rockets have two of the biggest stars in the NBA, Dwight Howard and James Harden. Harden will be leaned on to do most of the team’s scoring while Howard will continue to be dominant on the defense. The team did lose of their bigger named players in Jeremy Lin and Chandler Parsons this offseason. Trevor Ariza signed with the team to replace Parsons and the Rockets will promote Patrick Beverley to the starting line-up to replace Lin. Experience Rockets basketball from a private luxury suite. 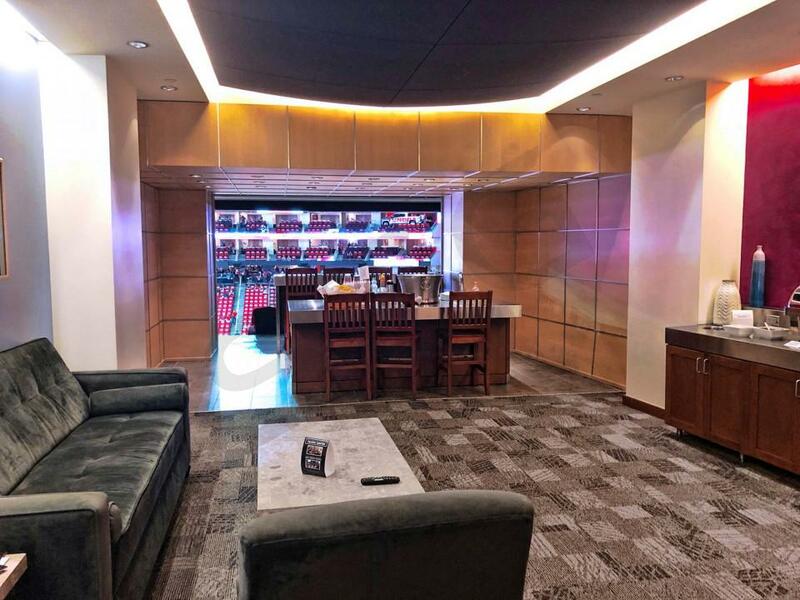 A suite at the Toyota Center will grant your group private entry into the arena and exclusive access to the Rockets Silestone Clubs located on the suite level. A Houston Rockets suite will come fully furnished and include first-class amenities such as HDTVs, comfortable seating, premium in-suite catering options, a dedicated suite attendant and wet bar. Thank you for signing up for specials at Toyota Center. Enter your email address below to stay in touch. We'll sign you up for our newsletter, which will inform you of the latest inventory and events at Toyota Center. We promise we will never sell or distribute your information. 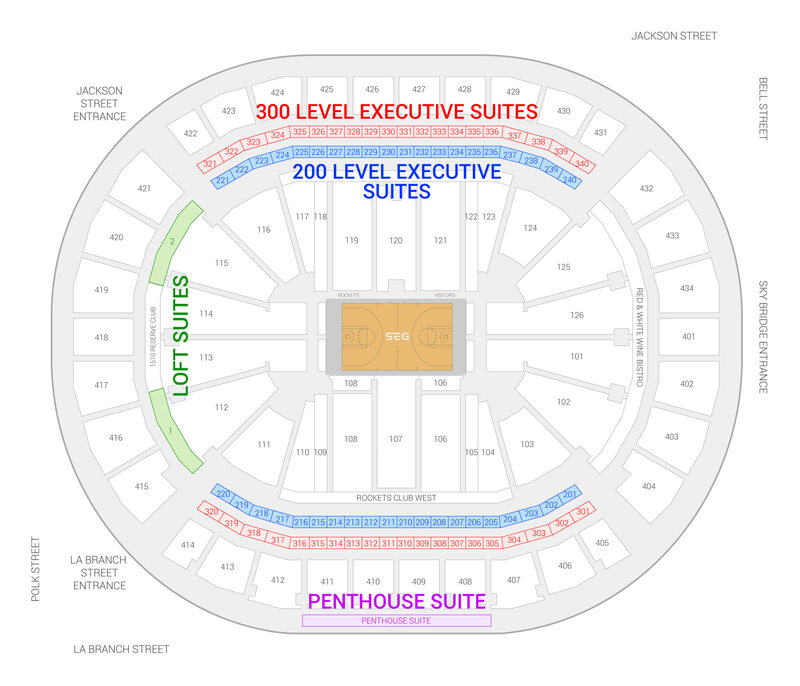 The seating chart below shows where the Houston Rockets suites at Toyota Center are located.